Contrary to what you might have read or heard the NC Tea Party or the North Carolina Tea Party does NOT endorse candidates, ever. We simple present them and let you decide. Democrats still do not have the votes. Regardless of of the media reports the Democrats are scrambling to get the votes. For everyone that goes from no to a yes, there are almost as many that go from yes to a no. Yesterday it was 5 to 4 so we did experience a deficit of 1 but they are not cruising along like they want us to believe. This is a tactic by Obama and Pelosi to exude confidence in passage while they sweat the votes. DO NOT STOP CALLING, Goto the local (and if you can the DC offices) of your representatives. Every single Republican and even news commentators are saying this could easily still be defeated. Even though Congressman Bob Etheridge folded up like a lawn chair this week and said he would support the bill, Larry Kissell said he is a firm no and Heath Shuler is still very much leaning no. All 3 of these men need to hear from us, need to get visits from us to force their votes to firm NO’s. This can still be defeated, they are far from a win. 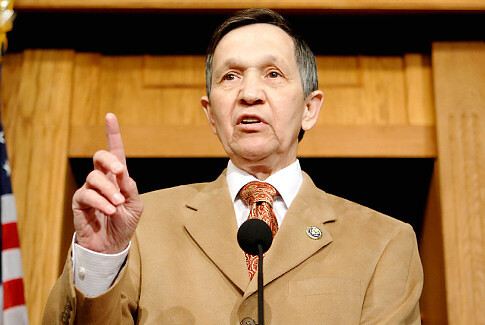 Spineless Kucinich will now VOTE YES. WASHINGTON — Rep. Dennis Kucinich, a fierce critic of the health care reform bill from the Democrats‘ left, relented Wednesday and said he would vote for it. The Ohio Democrat’s decision brings House Speaker Nancy Pelosi one member closer to the 216 votes she needs to pass reform. But Kucinich is not doing it gladly, and his capitulation comes only after intense pressure from Pelosi and President Obama, who traveled to Ohio with Kucinich earlier this week. “I have taken this fight farther than many in Congress have been willing to take it,” Kucinich said, arguing that he owed it to his constituents to push for a single-payer health-care system that ends the power of insurance companies. And he does not want to be the one who scuttles reform, even if he doesn’t think it’s good enough. “I know I have to make a decision on the bill not as I’d like to see it, but as it is,” he said. He insisted he would not stop there, though, and pledged to keep pushing for more robust reforms. “I’ve taken a detour through supporting this bill,” he said. 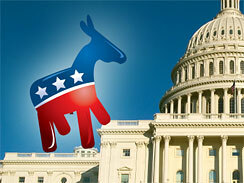 Tea Parties from across the country filled the capital lawn and visited congressional offices. Here is some footage and interviews with people that went to DC today. And we are keeping up with videos from the day. Tim Phillips, President of Americans For Prosperity speaks on TV. How this bill will affect us and LISTEN TO CHARLES SCHUMER at the end! Please offer your ideas, suggestions, or better yet your time in the comment section below. We will be in touch with each person that wants to help with the Tea Party efforts. Virgina is very close to signing into law a provision that will allow its citizens to opt out of any possible federal mandate in this so called “health care reform” that Obama and congress is trying to push, with their heals, down our throats. 34 states are making noise about are ready to do the same thing. This should be a BIG ISSUE for us in NC this November. Anyone running should be pressed to also guard NC citizens from a tyrannical power hungry federal government. The recession and the ongoing jobless recovery devastated much of the private-sector workforce last year, sending unemployment soaring, but government workers emerged essentially unscathed, according to data released Wednesday by the Labor Department. Private-industry employers spent an average of $27.42 per hour worked for total employee compensation in December, while total compensation costs for state and local government workers averaged $39.60 per hour. The average government wage and salary per hour of $26.11 was 35 percent higher than the average wage and salary of $19.41 per hour in the private sector. But the percentage difference in benefits was much higher; benefits for state and local workers averaged $13.49 per hour, nearly 70 percent higher than the $8 per hour in benefits paid by private businesses. 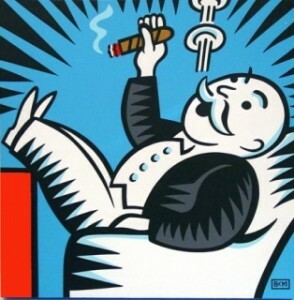 Paul Booth, executive assistant to the president at the American Federation of State, County and Municipal Employees (AFSCME), attributed the pay difference to a changing government workforce that has increased its proportion of higher-skilled workers during the past 15 to 20 years. The defined-benefit pension plans for state and local workers and their post-retirement health care costs do not include the extent to which those benefits are underfunded or overpromised. The cost of today’s benefits for government employees ($13.49 per hour) assumes that these retirement benefits are fully funded, however, the benefits are underfunded by an estimated $3 trillion. Benefit costs eventually will soar, and taxpayers will be required to pay the difference between available resources and the overpromised benefits as government workers of the baby boom generation, who start to turn 65 next year, begin to retire en masse. Also, government workers also have the rare privilege of being able to retire at age 55. 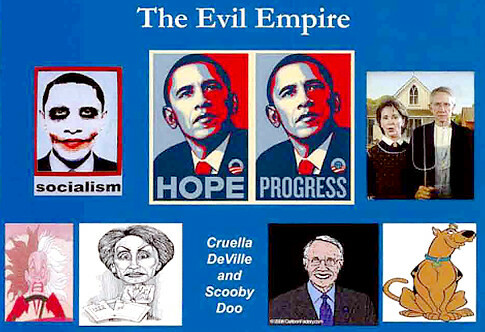 Source: David M. Dickson, “‘Gov’t workers feel no economic pain,”‘ Washington Times, March 11, 2010. This guy has been in office for 1/4 of a century! Another reason for term limits! Read on. One of the state’s leading newspapers has said its time for Senate leader Marc Basnight to go, and time for new leadership in that chamber. In a Sunday editorial, the Winston-Salem Journal noted that Basnight, D-Dare, is rapidly losing key allies in the Senate as other long-serving leaders tender their resignations. “This would be a good time for Basnight to say goodbye, too,” the Journal opines of the Senate president pro tempore. The editorial has prompted strong reaction from Beaufort County officials and leaders throughout northeastern North Carolina who say that Basnight has served the state and region honorably and should continue in his Senate post. Thompson also said that with the redrawing of state legislative districts following the 2010 Census, eastern North Carolina stands to lose political influence even if Basnight remains as Senate leader. If Basnight doesn’t stay, “eastern North Carolina is going to hear a giant sucking sound” as lawmakers from the Piedmont steer more state money to their region, he said. Schorr Johnson, Basnight’s spokesman, responded to the Journal’s call by saying the senator answers to the people in his district and his Senate colleagues. He added that the senator was traveling out of state this week and might not have read the opinion piece in question. An attempt to reach Basnight by phone was unsuccessful. Johnson reiterated that Basnight intends to seek re-election. 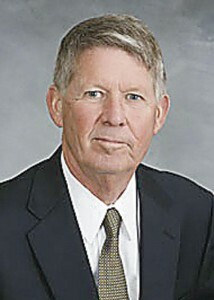 Rep. Bill Owens, D-Pasquotank, said that under Basnight’s leadership northeastern North Carolina has finally received some of the recognition that it deserves and some of the benefits of having a native son among the state’s most powerful politicians, but not at the expense of other areas of the state. Owens represents the 1st House District which includes Camden, Currituck, Pasquotank and Tyrrell counties, which are also represented by Basnight in the state Senate. Sen. Linda Garrou, D-Forsyth, disagreed with her hometown newspaper’s assessment of Basnight in an interview with the Daily News. Garrou, who is chairman of the Senate Appropriations Committee and one of the Senate’s leaders, said Basnight should stay in the Senate “as long as he is willing to serve” and that she would “lead the charge” if Basnight opts to retain his post as Senate president pro tem. Basnight has been elected to serve 13 terms in the Senate, or, so far, about a quarter-century. Basnight has been dogged by questions about his health recently. He has revealed that he has a rare nerve illness, though in May his doctor told the Charlotte Observer that the disease isn’t fatal and doesn’t impact the senator’s cognitive abilities. In a recent Daily News interview, Basnight indicated that he still is fit to serve, and stated that his condition hasn’t changed over the past two years. Recently, Basnight has been confronted with the loss of some of his top lieutenants in the Senate, including former majority leader Tony Rand and finance co-chairman David Hoyle, D-Gaston. Sen. R.C. Soles, D-Columbus, the longest-serving senator in the state, has announced that he won’t seek re-election. The Daily News also sought local reaction to the Journal editorial. “I’ve agreed with the editorial for a long time,” said Beaufort County Commissioner Hood Richardson, a Republican. “The problem is if you want government to continue as it has in the past, with ever increasing taxes and more burdens on the citizens, then you need to vote for Sen. Basnight to stay in office,” he said. Richardson acknowledged that Basnight’s seniority has bearing on the influence wielded by northeastern counties. Beaufort County Commissioner Robert Cayton offered his unqualified support for Basnight. The EVIL Empire – How true this is. We post this with pride, because it is true. The RNC finally got something correct. This could be the best thing they have done in years. The president and Democrats are trying to shove Health Care down our throats, we all know the story and we all know why. There is no sense in rehashing the story here, and you know where the Tea Party stands. So again, let’s flood their offices with calls, emails, letters, and if you can visit them in person. Here is a list of them for your convenience. Slam them, overwhelm them, it makes no difference if they are a D or an R let them know. Especially Hagan. Congress gets a $250 a day Per Diem expense when they travel. This “expense” is not track-able, and they are supposed to give the rest back but seldom do. Instead they pocket it or buy paintings, and gifts. This is OUR MONEY, it’s OURS but they don’t care at all. This is nothing more than stealing. 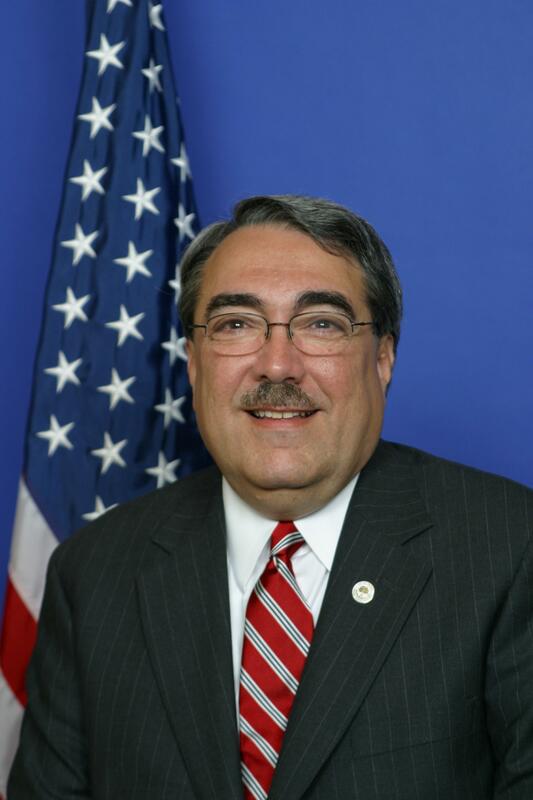 North Carolina’s own G.K. Butterfield says that he usually pocket’s the remaining money that he has left. But “It’s only $80, $90, or $100, not much at all”. We cannot believe he actually went on record saying this, what a remarkable attitude. How cocky, how dismissive. How many of you could use $80, $90 or $100? Could anyone use that to buy groceries for their family, maybe buy gas, pay your bills? That is a lot of money. Folks, this man needs to leave Congress. We must throw him out on his bum in November. 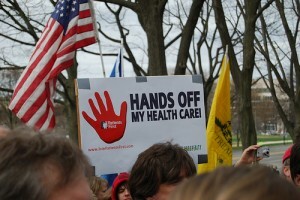 The Tea Party is changing it’s focus to more local issues and this is one we WILL NOT FORGET! Every member should call his office in disgust and let him know to start looking for a job, just let many other North Carolinians. If there is anyone in the 1st district and wants to help us with this story please send us an email here.